On Saturday night, we went out on our first "date" since Amelia was born. 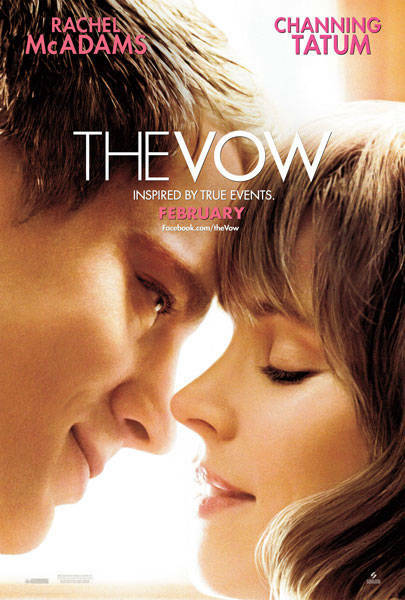 Plans were to go to an early supper and then see The Vow, the romantic comedy starring Rachel McAdams and Channing Tatum. When we left the house at 5:10, we were in a hurry because we knew our favorite restaurant would be crowded. We told Anna we'd order pizza when we got in the car, and it would be at the house in less than an hour. When we got to the restaurant, we had to wait about 40 minutes for a table, but we'd factored a wait into our schedule, so we were still okay to make the 7:25 movie. We were eating our delicious meal at 6:40 when Anna texted me: "Boys are asking about pizza." OH CRAP. We'd forgotten to order it. I texted back and asked her if she could just make mac and cheese, but she said the boys were really looking forward to pizza and hoped I could just order it then. No problem! I called Pizza Hut from our table. Then the lady told me it would be a 90-minute wait. No good. I called Anna and left a message that there was no pizza coming. We wrapped up at the restaurant and headed for the movie theater, which was PACKED. When we saw the crowd, I let Grayson out near the door so he could go get tickets quickly. He called me while I was circling for a space and said, "It's sold out." SHOOT. All those college girls who were there to see Channing Tatum beat us to it. He got back in the car and we started heading back to Hoover, looking on his phone to see what was playing closer to our house. Nothing we wanted to see at a time we could do it. Amazing how one little reference to The Princess Bride can turn your frown upside-down. And how was the movie? Worth seeing? I need a date night with my hubby. Yippee! 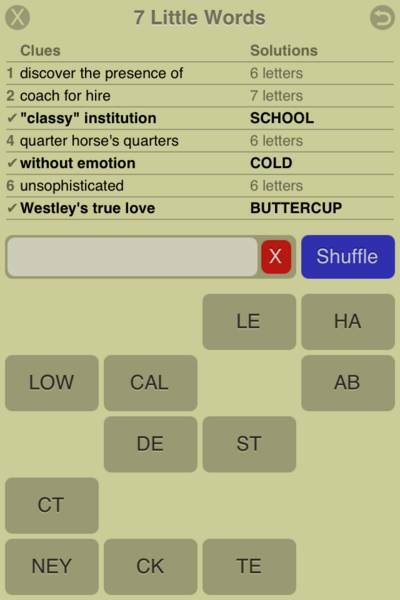 Another word game for my phone!!!! What about the movie??! Was it good? I've seen posts on FB about it being a definite "bring your tissues...a WHOLE box" kind of movie.